Hamad Bin Khalifa University (HBKU) and the Imagine Institute of Genetic Diseases (IIGD), a Paris-based research institute focused on genetic diseases, today signed an education and research collaboration agreement that is set to advance the future of medicine. 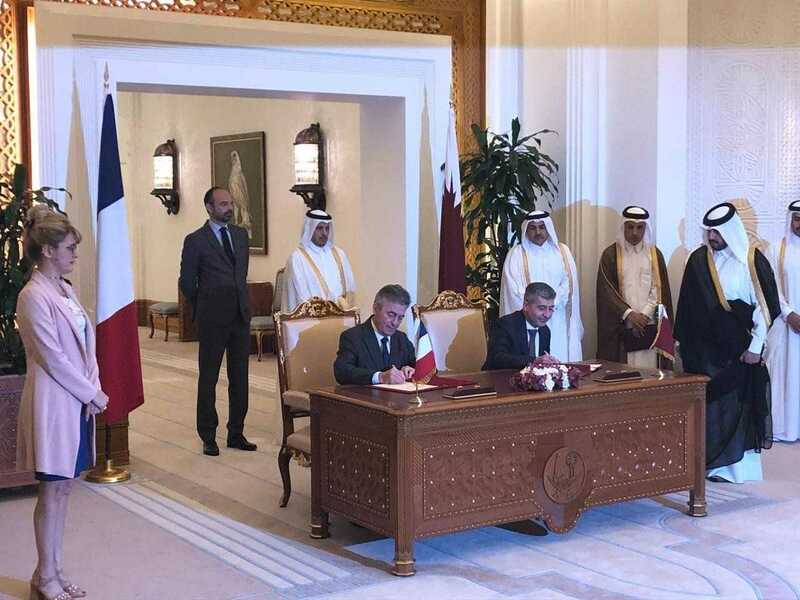 Dr. Ahmad M. Hasnah, President of HBKU, and Dr. Stanislas Lyonnet, Director of IIGD, signed the agreement at the Amiri Diwan in the presence of HE Sheikh Abdullah bin Nasser bin Khalifa Al-Thani, Prime Minister of Qatar and Minister of Interior, and HE Mr. Edouard Philippe, Prime Minister of France. The agreement outlines the facilitation of knowledge exchange on autism and intellectual disabilities, genetics of infectious diseases, primary immunodeficiencies and human immunodeficiency viruses (HIV), congenital malformations, and diabetes. The College of Health and Life Sciences and the Qatar Biomedical Research Institute will implement all aspects of the agreement. Together, HBKU and IIGN will employ a range of scientific methodologies such as non-coding DNA, multigenic models, single cell analyses, and deep learning/artificial intelligence, to advance medical research in their shared areas of interest. The agreement also encompasses Sidra Medicine as a research collaborator and partner. The two entities will work together in the areas of capacity building, joint research, education and training on innovative skills and techniques, co-organization of conferences and seminars, student exchange, medical management and consultations, and the exchange of technical services. HBKU’s College of Health and Life Sciences and its Qatar Biomedical Research Institute are especially tasked with advancing studies in these areas, as well as preparing graduates for what promises to be a very bright outlook at the forefront of personalized care. HBKU is a multidisciplinary, graduate-focused university driven by the pursuit of impactful solutions to global challenges. Through local and global partnerships, HBKU leverages expertise and builds capacity in areas of research interest, and cultivates knowledge to enable the generations of tomorrow.